Hot Chocolate With Marshmallow In Woman Hand In Mittens And Sweater On A White Wooden Table Against The Background Of The Christmas Tree. Lizenzfreie Fotos, Bilder Und Stock Fotografie. Image 114141390. 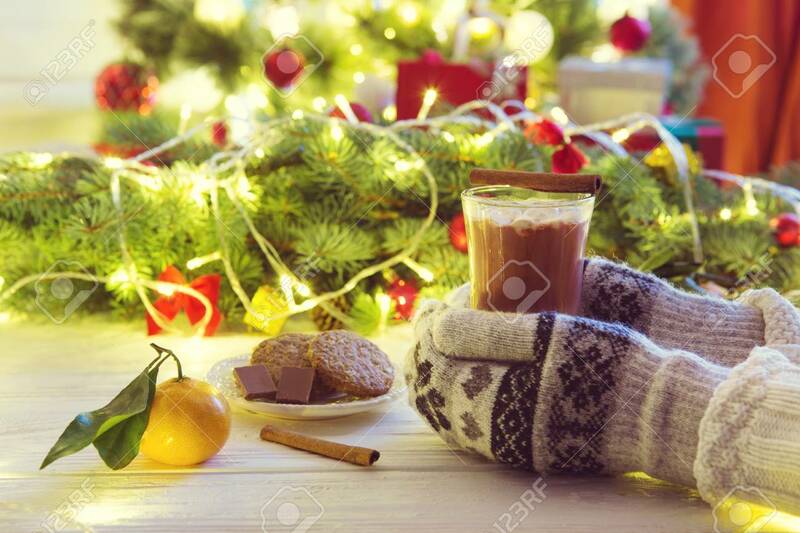 Standard-Bild - Hot chocolate with marshmallow in woman hand in mittens and sweater on a white wooden table against the background of the Christmas tree. Hot chocolate with marshmallow in woman hand in mittens and sweater on a white wooden table against the background of the Christmas tree.